Before we get to comparing Seminyak to Sanur, I thought I’d answer the question of how far is Sanur from Seminyak? And explain the best way to travel between the two provinces. The two are only about half an hours drive from each other! Thus, the best way to travel from Sanur to Seminyak (or Seminyak to Sanur) is simply to get a taxi! It’s not hard to find a taxi on the streets of either Seminyak or Sanur, however, I’d recommend checking you get one with a meter, as this guarantees that you can’t be conned into paying more. Alternatively, you can book a prepaid taxi with your hotel! 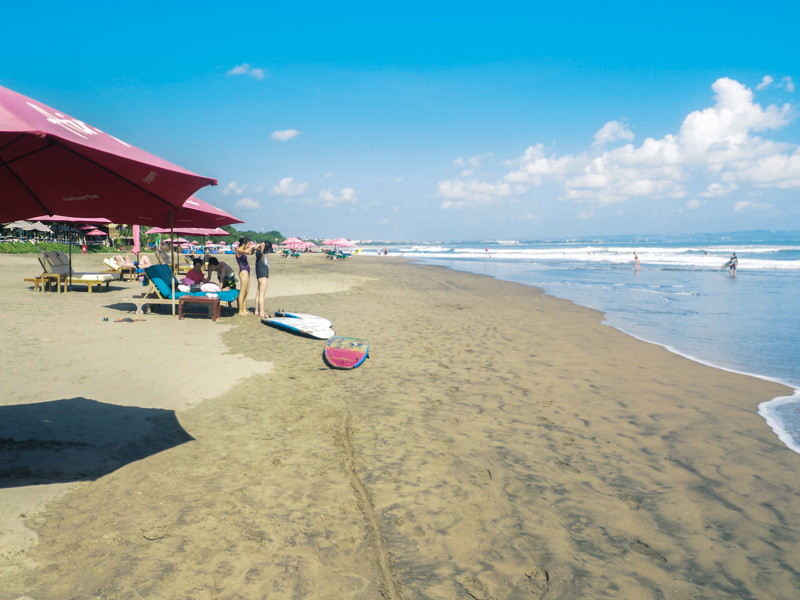 Sanur and Seminyak are both situated 20-minutes from the airport, meaning each province is easily accessible! Sanur sits South East meaning it’s marginally closer to Ubud. Meanwhile, Seminyak (which is slightly further north) is better situated for day trips to Jimbaran. Thus, it can easily be stated that the locations of the regions, in terms of their proximity to other points of interest, are pretty on par! This said, Bali’s roads are famed for being chock-a-blocked during peak times, this fact may make Sanur’s location slightly superior as there’s often less traffic in this quieter province! During my research, I noticed that hotel prices in Seminyak appear to be a little steeper than Sanur. This said accommodation prices in Bali vary depending on what you’re looking for! For example, Sanur was actually home to Bali’s first ever ‘Beach Resort’ thus, it has many luxury hotels on it’s beachfront that are actually more expensive than the big resorts in Seminyak. 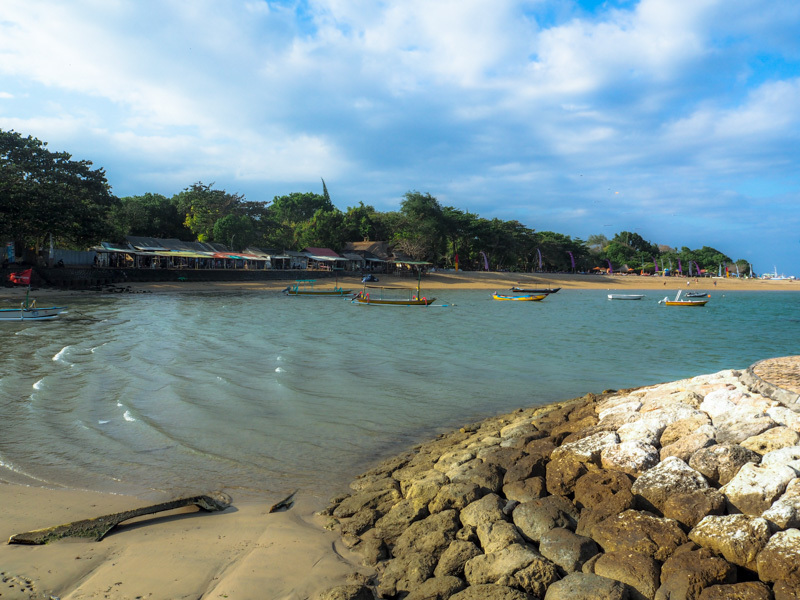 However, if you go further inland, you’ll get a lot more for your money in Sanur than you would in the bustling heart of Seminyak. Likewise, if travelling in a group, Villas are a great option in both areas! They tend to be more out of the way but, you really can’t beat the prices! As you can see from above there are so many great accommodation choices in both Sanur and Seminyak. But if I had to answer the question: Sanur where to stay? My first suggestion would be the Segara Village Hotel this beautiful ‘resort feel’ hotel is located right on the beach. It’s a little pricy but the service and facilities you get for this price are out of the world! Alternatively, in Seminyak, I’d suggest a lower budget option: the Lous Tirta Seminyak. This hotel/villa complex is in a fantastic location right in the heart of town! But it also has amazing service and a lovely pool to keep you cool in the intense Indonesian Heat. 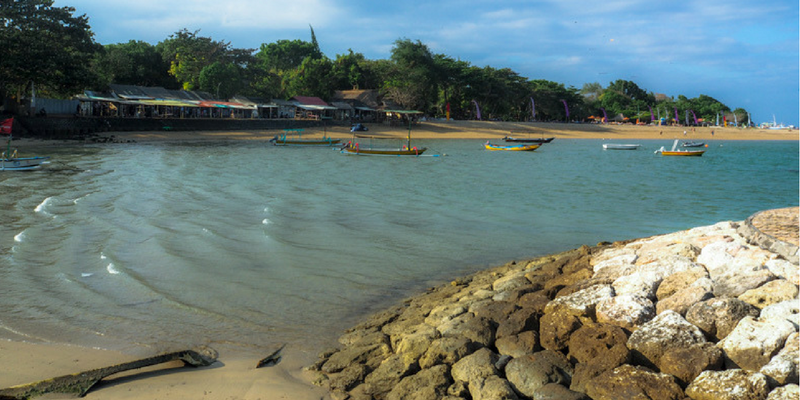 Sanur is known for being laid back and low key thus, it doesn’t have a great nightlife. Aside from some beach bars, there’s not much in the way of clubs/drinking venues (making it a great choice for families, or those that value the quiet life). 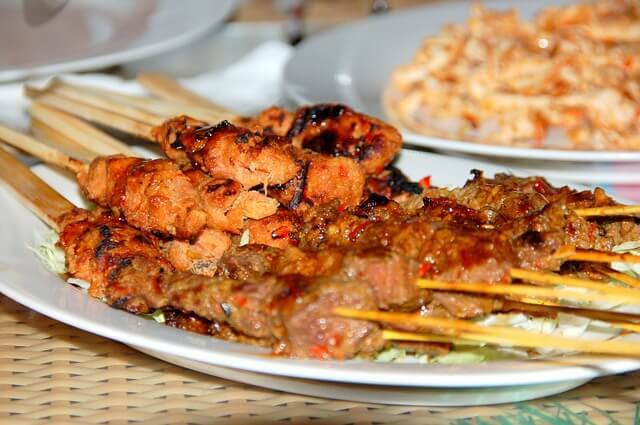 Further, the large majority of restaurants in Sanur are ‘Warungs‘ meaning they serve delicious local food – providing a traditional Balinese experience for your stomach. These restaurants come with a low price! Some of my favourites include the Gong Restaurant Sanur and Warung Sanur Segar (which does the most amazing juices and breakfasts)! Seminyak on the other hand, couldn’t be more different! Swamped at night, you’ll find plenty of bars and clubs which stay open late. There are also several American style beach clubs such as the famous Potato Head. Meanwhile, ‘Warungs‘ are hard to come by and westernised restaurants hold rank. However, this is not to say that there’s not good food available! This leads nicely onto the ‘authenticity’ of the two areas. As I stated above, Sanur is pretty quiet! This has enabled the region to maintain a certain charm. In other words, you can relax in a five-star beach resort and then walk two minutes down the road to be immersed in local Balinese life. 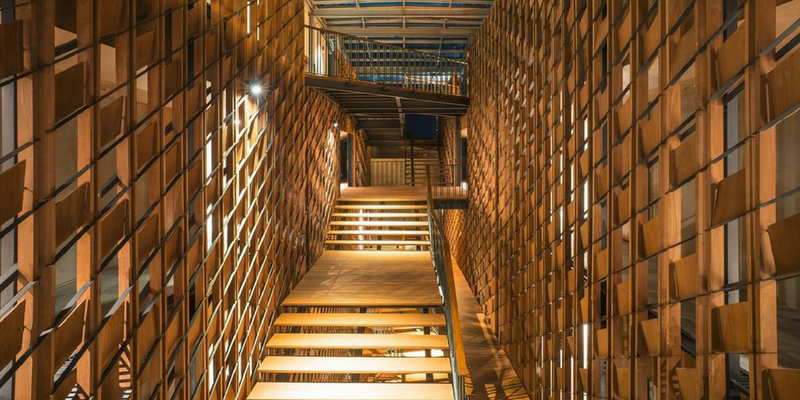 Comparatively, western influences are clear to see in Seminyak, with most restaurant’s and shops catering towards tourists needs and wants. 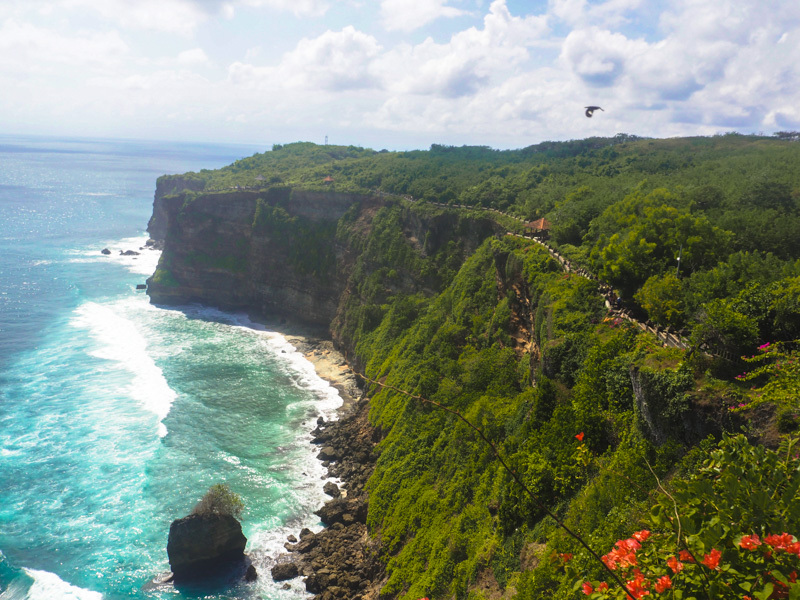 More than this, the main streets are always packed with fellow holidaymakers – you’ll be pushed to see any Balinese who are not working! If you follow Earth’s Magical Places, you’ll be aware that I have already made a post about Sanur Beach (Read here). To summarise, the main section of the beach was dirty and filled with litter! However, I’ve since heard that further along the beach (which stretches 7km) there are some nicer sections of sand to relax on! Seminyak Beach also has a reputation for being dirty! However, on my visit, it was actually pretty clean… Either way, it’s not one for swimming due to its big waves and strong currents. However, this does make it a surfers paradise! 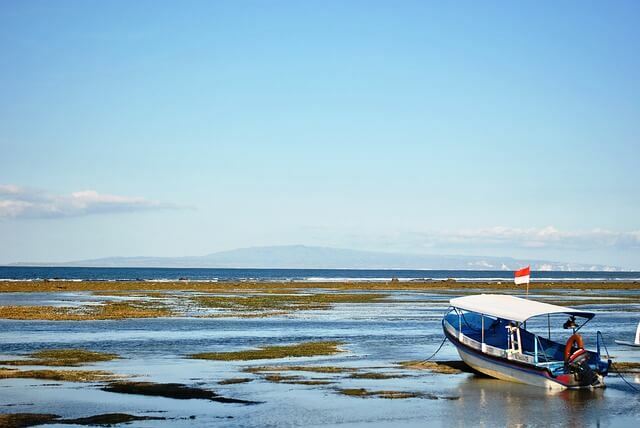 Comparatively, Sanur is protected by a reef about 100m offshore. This means that it’s more like a lagoon with calm water… Thus I’d say more family friendly! Both beaches have a good selection of bars and restaurants along the shoreline as well as loungers to rent (although they tended to be expensive). Want a mix of the two? Then do as I did and stay for several nights in both areas! Plus, (as I’ve already stated) It’s super easy to travel from Sanur to Seminyak (or vice versa) and taxis are cheap as chips in Bali. 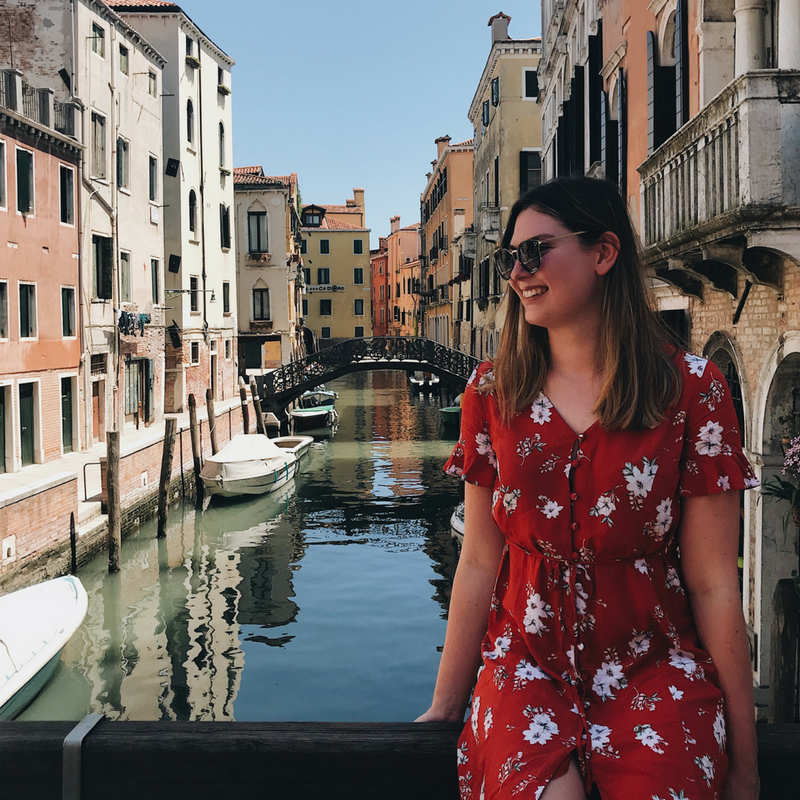 This means that even if you spend your whole trip in one area, you can venture into other regions for day trips, dinners out or even trips to the beach. Amazing, I’ll definitely add it to my bucket list! Ooooh. I went to Bali a year or so ago, but didn’t make it to either of these areas. All the more reason to go back?